Kelli Mosteller is director of the Citizen Potawatomi Nation Cultural Heritage Center and perhaps one of the most recognizable names representing the tribe. With a roster of impressive awards and a doctoral degree to her name, she was also recently recognized as one of The Journal Record newspaper’s 50 Making a Difference in Oklahoma. The Journal Record’s Woman of the Year program spotlights community and business leaders across the state with its 50 Making a Difference awards and celebrated them during its annual Woman of the Year gala on Oct. 26 in Oklahoma City, Oklahoma. “It’s such an honor to be considered someone who is doing a great service,” Mosteller told the Hownikan. “I’m really passionate about the work I do. After earning her bachelor’s degree in history from Oklahoma State University and a master’s in American history from the University of Texas at Austin, Texas, Mosteller decided to continue her education at UT, obtaining a doctorate in American history with an emphasis on Indigenous studies. Much of her research focus was Potawatomi history. Being a tribal member, she said she had “skin in the game” when it came to her studies. While earning her doctorate, Mosteller took on her current role as director of the Cultural Heritage Center in Shawnee, Oklahoma, after Citizen Potawatomi Vice-Chairman Linda Capps approached her about the position in 2010. Mosteller credited a significant amount of her success during the past seven years to her staff. 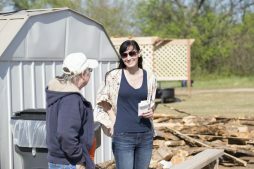 Kelli Mosteller speaks with a guest at Citizen Potawatomi Nation’s Community Garden open house in March. The passion that drove her to earn a doctorate continues to push her to take on additional roles for Citizen Potawatomi Nation. She also is the Tribal Historic Preservation Officer, a gaming commissioner and a member of several Blue Zones committees for Pottawatomie County. Mosteller said she tries to make an impact every day, especially with community outreach projects such as participation in local 29 Blue Zones projects, an organization designed to help people live longer, healthier lives while lowering health care costs in cities across the United States. Her dedication led Capps to nominate Mosteller for The Journal Record award. 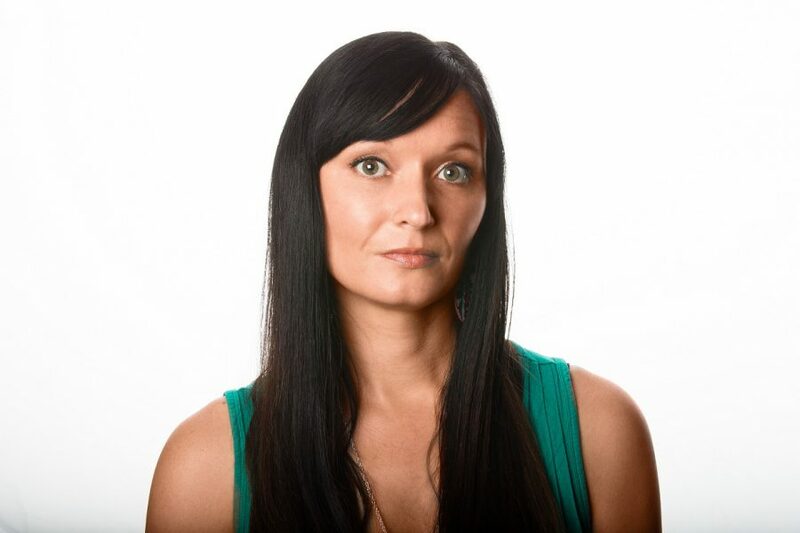 This year, The Journal Record named several Native American women as honorees for Woman of the Year award including Mosteller. For more information, visit journalrecord.com/woman-of-the-year-2017.